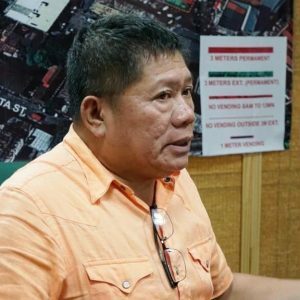 Following a series of consultations, Market Coordinating and Monitoring Task Force (MCMTF) chief coordinator, Executive Assistant Ernesto Pineda, said the group will be regulating Bacolod City’s Libertad and Burgos markets. Among the actions being undertaken include a clearing operation at Libertad Market, which was conducted along Amelia and Mercedes Streets; implementing a no vending policy between 6:00 a.m. and 12:00 midnight along the said streets; and ensuring vendors only dispose of garbage during collection time. Earlier, the City Disaster Risk Reduction and Management Office conducted a declogging operation on the canals at Libertad Market as garbage was not being disposed of properly. Pineda said, in order to regulate the market, the Amelia Mercedes Vendors’ Association will work to maintain a better situation at the market. “The vendors’ association are the ones [reminding] vendors who violate regulations, particularly the ‘no vending policy,’” Pineda said.